Cancer is a group of more than 100 different diseases. Cancer occurs when cells become abnormal and keep dividing and forming more cells without control. If cells divide when new cells are not needed, a mass of excess tissue called a tumor is formed. Tumors can be either benign or non cancerous or malignant, cancerous. Cancer cells often invade nearby tissues or travel through the bloodstream to form new tumors in other body parts. The spread of cancer is called metastasis. Some of the most common warning signs of cancer include change in bowel or bladder habits, unusual bleeding or discharge, thickening or lump in a body part, indigestion or difficulty swallowing, nagging cough or hoarseness. 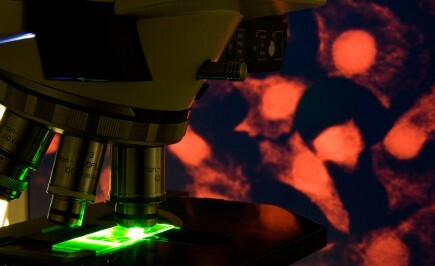 A biopsy is the only sure method to know if cancer exists. During a biopsy, the physician removes a part of the tissue and examines it under a microscope to see if cancer cells are present. Cancer is treated with surgery, radiation therapy, chemotherapy, hormone therapy, or biological therapy. Some common types of cancer include colon cancer, rectal cancer, lung cancer, breast cancer, skin cancer, brain tumor, cancer of the uterus, cervical cancer, pancreatic cancer, Hodgkin’s disease, lymphoma, leukemia and prostate cancer. Usually, early detection is the key to most successful outcomes. The more the disease is allowed to develop without treatment, the greater the likelihood of spreading.